The Executive Director of Impact DWI, Inc., Richard Roth, PhD, spends his time working to reduce drunk driving risks and working to raise awareness in the community about the dangers that accompany this dangerous habit. Recently, he took a look at the use and effectiveness of ignition interlock devices (IID). He looked at information regarding these programs in 13 different states to determine just how effective they were, according to Mothers Against Drunk Driving (MADD). Our Boston drunk driving accident lawyers understand that drivers in the state of Massachusetts can be subjected to one of these devices upon their second or subsequent drunk driving conviction. The state’s Registry of Motor Vehicles requires as a condition for reinstatement of the person’s driver’s license and/or hardship license that an Ignition Interlock Device be used by the driver for a minimum of two years if you qualify for your hardship driver’s license. If you don’t qualify for a hardship license, you’re required to use the IID for two years after your license is reinstated. 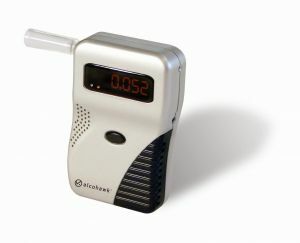 With this device on your vehicle, a driver cannot start a car if it reads a blood alcohol level of .02 percent or higher. When you’re sentenced to one of these devices, you’ve got to dish out the cash to pay for it. These fees can run up to $500 for installation and a monthly fee of close to $100. That’s not all either. Users are also required to grant the IID vendor with access to the data it collects and give it to the Registry of Motor Vehicles. These devices require you take a breath test before you’re able to start your car. If you pass, your car will start. These devices also require a rolling re-test after the vehicle has been started. This is to help to ensure that you don’t dupe the system. These devices are designed to help to make sure that those who have already been convicted of a drunk driving charge don’t get behind the wheel and do it all over again. This is also to help to reduce the risks of drunk driving car accidents. -There are close to 300,000 ignition interlocks currently being used in the United States. -The number of ignition interlock device installations has dropped by nearly 15 percent since 2011. -About a fourth of those who are arrested for drunk driving are installing interlocks. -Currently, there are about 9 ignition interlocks per 100,000 residents in the country. -There are 10 states that have over 9,000 installed IIDs. -There are nearly 30 states that have fewer than 4,000 installed IIDs. -The five states with the most IIDs are Arizona, Colorado, California, Washington and Texas. The state of Massachusetts also has an additional measure to help to keep these drivers off of our roadways. Our law provides a driver’s license suspension for 10 years to life to drivers who have failed to obey the requirements of the state’s IID laws. The Law Office of Jeffrey S. Glassman, LLC is here to help those who have been injured in drunk driving car accidents. Call 1-888-367-2900 today for a free and confidential consultation.